Amelia is about to learn a lot about herself, and it starts when her science teacher asks her to write an article about the unexpected results of her science fair project. After Amelia completes the article and turns it in, Sadie, her notebook-snooping science project partner, is furious that Amelia didn’t consult her and calls her…mean names! How will she cope? With entertaining quizzes to take throughout, readers journey along with Amelia as she searches for a way to discover who she truly is—by turning to her trusty notebook, of course! 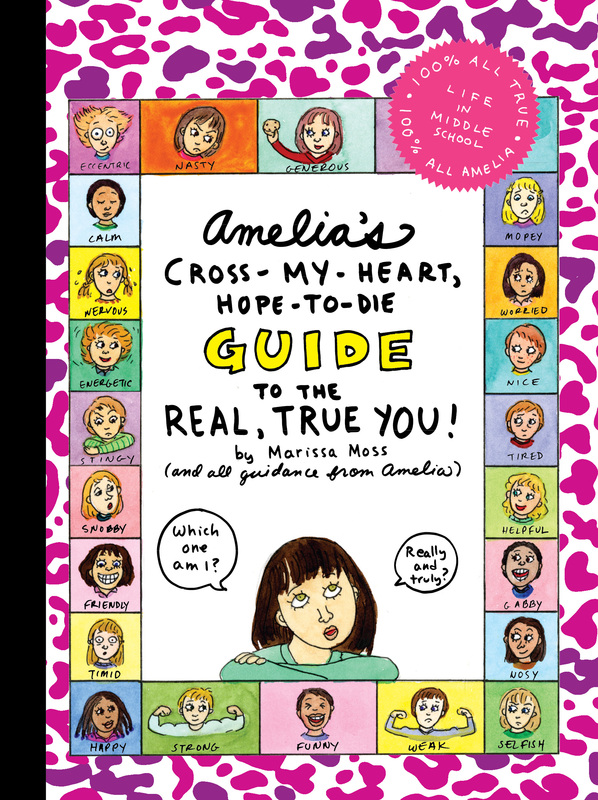 Book Cover Image (jpg): Amelia's Cross-My-Heart, Hope-to-Die Guide to the Real, True You!